LAHORE: (Wednesday, November 7, 2018): Renowned poet Mr Khalid Masood called on Punjab University Vice Chancellor Prof Niaz Ahmad at his office. 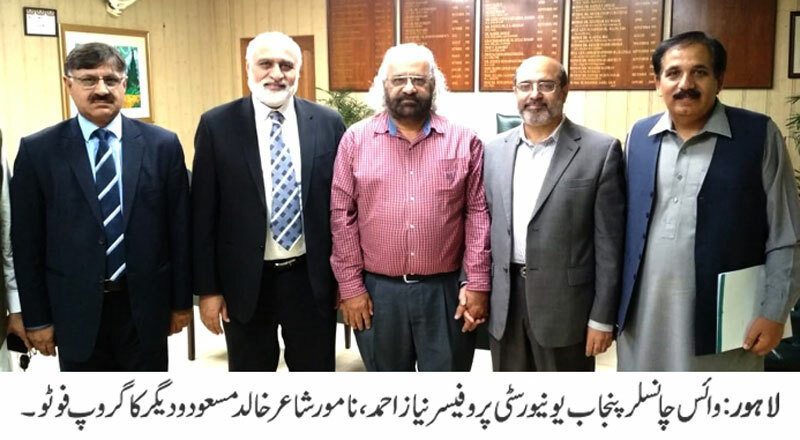 On this occasion PU Registrar Dr Muhammad Khalid Khan, Dean Faculty of Oriental Learning Prof Dr Muhammad Saleem Mazhar and others were also present. The meeting discussed enhancement of educational and co-curricular activities and promote book reading culture among students.